Victorian playwright and poet Oscar Wilde was born in the late 19th century. His works are still widely read and performed today. 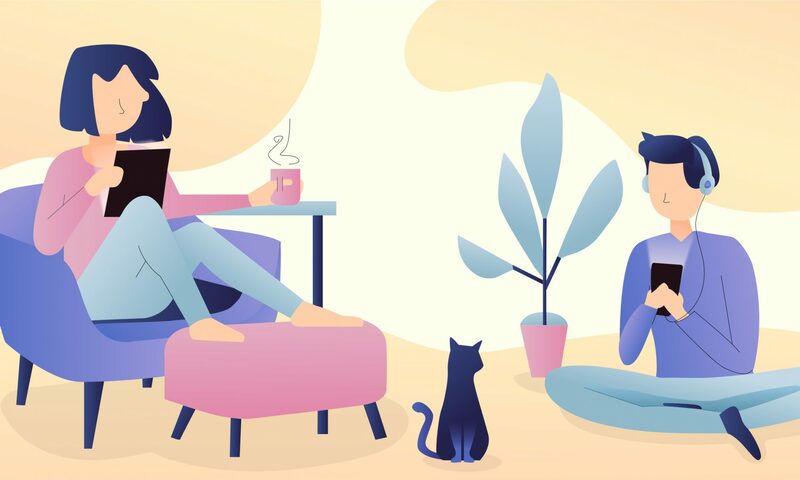 Best known for his societal plays and novels such as ‘The Picture of Dorian Gray’ and ‘The Importance of Being Ernest’, Wilde shook the literary world and quickly became a household name. We celebrate the great writer with 10 of his best works available for free in audio book version. Born in Ireland to intellects, Wilde succeeded linguistically in French and German and went on to study in Dublin and Oxford. By the 1890s, he was making waves in London. Helped by the aesthetic movement of the time, his witty flamboyant plays went down a storm among theater goers. 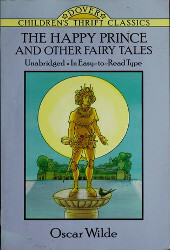 As well as more adult-themed works, Wilde also wrote for younger audiences, notable ‘The Happy Prince and Other Tales’, a collection of short fairy tales for children. In 1895, after unsuccessfully bringing a libel charge against the father of his lover, Lord Alfred ‘Bosie’ Douglas (a young Oxford undergraduate), Wilde was convicted of gross indecency and sentenced to 2 years hard labor. While in prison he was forbidden to write plays or poetry, but letter writing was permitted. Wilde took advantage of this and penned ‘De Profundis’ (‘From the Depths’), addressed to Bosie. 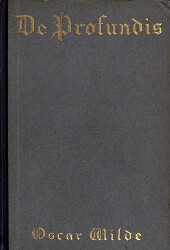 It wasn’t published until 1905 and then in full until 1949. Wilde died aged 45 in Paris, where he’d fled after coming out of prison to escape his ruined reputation. Wilde continues to inspire and progress attitudes towards many relevant topics including atheism, social acceptance, and homosexuality. Here are 10 of the best from the man himself, Oscar Wilde. First published in 1890, this book was branded immoral at the time. The book explores aestheticism and focuses on beauty and youth. Dorian, a young innocent man turns superficial and self-obsessed as he discovers the powers of his exceptional beauty. He remains physically unchanged by his immoral lifestyle but his portrait shows the reality. 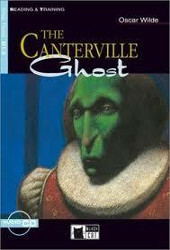 Wilde’s first book in 1887 tells of an American family that move to Canterville Chase, much to the annoyance of the the ghost that frequents the building . The family refuse to believe the ghost exists. It is clear that this is Wilde’s take on the noble upper classes of the time. Along with the ‘Happy Prince’, this collection of five fairy tales also includes ‘The Nightingale and the Rose’, ‘The Selfish Giant’ , ‘The Devoted Friend’, and ‘The Remarkable Rocket’. 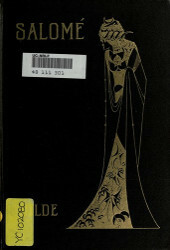 These sad and beautiful tales take on another life with Wilde’s witty prose. A joy for both young and old readers. 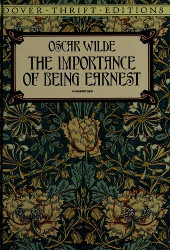 One of Wilde’s most popular plays, ‘The Importance of Being Earnest’ is about mistaken identities and a hugely entertaining read. The witty and sarcastic tone make audiences laugh out loud. It’s hard to believe that this social comedy was first performed in 1895, as it feels like a contemporary classic. 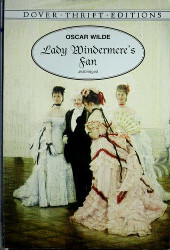 Lady Windermere is about a societal woman on the brink of social suicide. 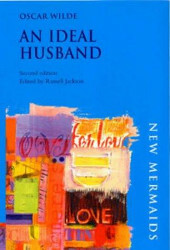 The jealous woman believes her husband is having an affair, which could have consequences for all involved, not just herself and Lord Windermere. The only one that can save her is the the mysterious Mrs Erlynne. The clever dialogue in this play showcases Wilde’s ability as one of the greatest writers in English. Blackmail and corruption surround this comical stage play. Taking place over a 24 hour period in London, it involves a couple that must look at their moral standards . As to be expected, it’s full of wit, sarcasm and charm, although by today’s standards, this play could be viewed as being rather sexist. Another satire of the English Upper classes. Mrs Arbutnot has a secret that is about to be revealed, as Lords as Ladies socialize at a high societal event. As usual, we see Wilde focus on criticizing 19th century attitudes, and this play highlights the distorted attitude towards woman at the time. This is a letter written to Wilde’s dear ‘Bosie’ during his imprisonment at the end of the 19th century. 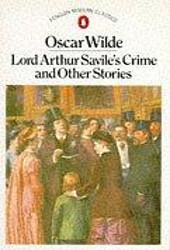 In he first part, Wilde recalls their relationship and lifestyle which eventually led to his imprisonment. Ultimately he reproaches his young lover for having abandoned him and leaving him to face his fate. 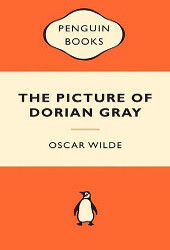 Unable to send the letter at the time of writing, Wilde took it with him upon his release and it was later published. 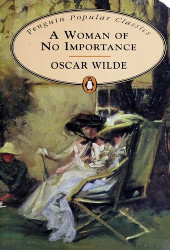 Wilde’s less famous 1891 tragedy was originally in French and consists of just one-act. His brief Gothic work is rather strange but oddly satisfying. Based on biblical figures, Salome is the step-daughter of Herod Antipas, and requests the head of John The Baptist on the silver platter as a reward for dancing the dance of seven veils. Lady Windermere is hosting a party and introduces the Lord Arthur to fortune-teller Mr Septimus R. Podgers, who reads his palm and tells him his destiny is to be a murderer. Not wanting to marry before he has fulfilled his destiny, the Lord postpones his wedding and goes about trying to commit murder.